Is 1 or 2 SIM already not enough? Now, how about this --> a quadruple sim phone! 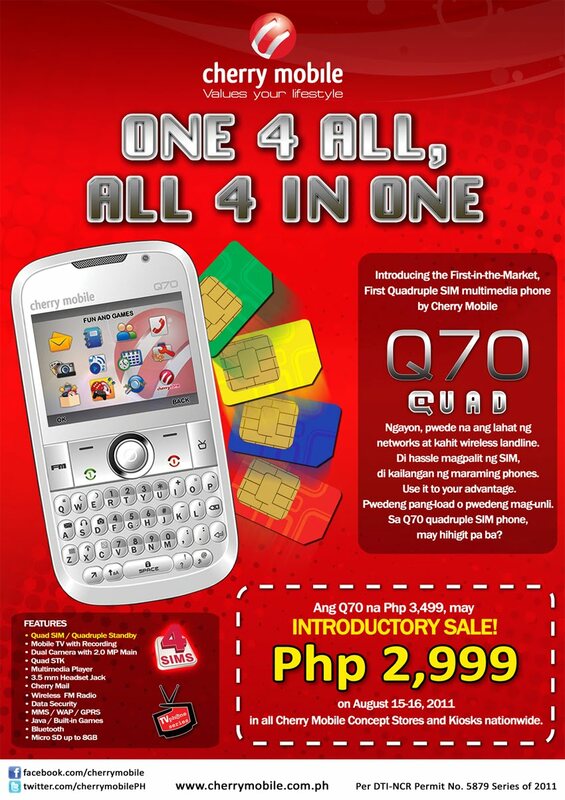 Introducing Q70 Quad from Cherry Mobile, the first-ever quadruple sim multimedia phone available in the market. No more hassle to change SIM, no need of many phones. 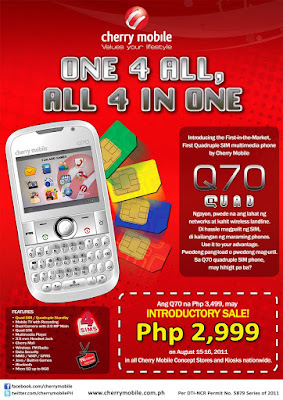 Cherry Mobile Q70 retails at P3,499.00 but it will have an introductory sale on August 15-16, 2011 where you can get it for only P2,999 in all Cherry Mobile Concept Stores and Kiosks nationwide.